In addition to the Serengeti National Park there are the famous Ngorongoro Crater. Thanks to the conservationist Bernhard Grzimek we can enjoy the rich wildlife. In the Northern Circuit there are also Tarangire and Lake Manyara National Park, which can be visit during this Safari Tanzania Classic. Tanzania is one of the last countries with an unimaginable animal wealth and big plains. By the way – in contrast to the fenced-in national parks in South Africa and Namibia, wild animals in Tanzania actually live in freedom and can migrate between the parks. After your arrival at Kilimanjaro Airport our driver will pick you up and take you to the hotel in Moshi / Arusha. 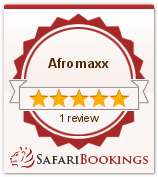 Our guest manager will inform you in detail about the safari and answer your questions. Depending on the time of arrival you will have the opportunity to gain first impressions of Tanzania. You will be picked up at your hotel and will go on a three-hour drive to the East African Rift in the Lake Manyara National Park. When you get there, the roof will be opened up for the first game drive. You will cross the forest and keep your eyes open for monkeys of all different species, elephants lumbering between the trees and many other inhabitants of the forest. You are certain to encounter large herds of buffalos, zebras, gnus and giraffes in the grass covered flood plains. Also look at the trees – you might see a lion dozing on the branches. At the marshy riversides of the Lake Manyara salt lake, you will find water birds like flamingos, pelicans and cormorants. After breakfast, you will head to the famous Serengeti National Park. On your way, you will pass the Ngorongoro Conservation Area, the “African Eden”, which has a very rich variety of vegetation and species. Soft hills, dormant volcanoes and stunning jungles provide a breath-taking view. During migration from January to March, millions of gnus and zebras pass the Serengeti Plains and the edges of Ngorongoro. When you enter Serengeti through the Nabi Gate, you will have an impressive first impression. The first game drive will be on the way to your lodge. The third day begins in the heart of Serengeti, the Seronera Valley, among umbrella thorn acacias and huge fig trees. The range of hills in the north feed several waterholes which attract numerous impalas, antelopes, reedbucks and baboons. Hippos splash around in the water, leopards rest on the acacias and lions take naps in the high grass. This day is completely devoted to game drives in Serengeti. You can decide how you would like to organize the day. If you are up for it, you can go for an early morning game drive on day 4. We start right after a coffee and a small snack. The first rays of sun cast long shadows and it is the best time for good pictures! You often get to see hyenas, active hippos or you might get to see a pride of lions having breakfast. Experience the unique sunrise in the savannah where the air is as crisp as nowhere else. After brunch, you will go on your next game drive and will take some breaks for pictures heading to the Ngorongoro Crater. Early birds can enjoy the spectacular sunrise above the crater. You will then go down the steep hills to the crater floor of Ngorongoro. Keep your cameras at the ready, as there is nowhere else with a higher animal density. The crater, which was declared a UNESCO, World Heritage site, is a romping ground for almost all species of the East African wildlife. With a little bit of luck, you will have the chance to see the endangered black rhino, which is part of the “big five” together with the buffalo, lion, elephant and leopard! In the afternoon, you will leave the crater and will head to the Tarangire National Park. At the end, you will visit the Tarangire National Park, a former hunting ground, which is particularly known for its high numbers of elephants. The National Park is a park which stretches along its central line, the Tarangire River. The landscape is characterized by hills, savannah and marshland. The huge baobab trees with their majestic silhouette are really impressive and give the place a really special charm. Enjoy the vast panorama during your last game drive in the morning before you head back to the starting point of your safari. Depending on the flight time, you will be taken to the airport or the next travel module begins.